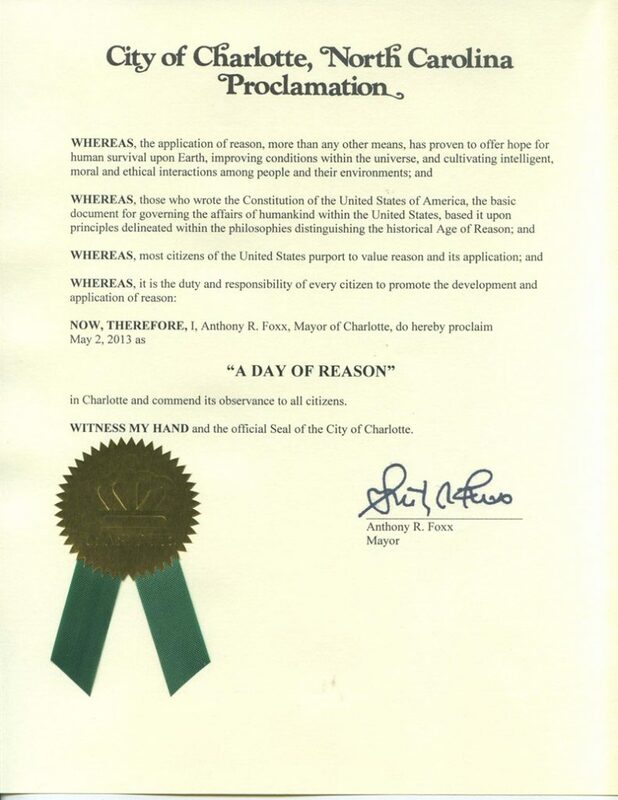 The following was written in 2013 as a result of the 10th anniversary of the Charlotte Atheists & Agnostics (CAA). It serves as an example of how one secular group began and evolved a little differently than most groups of its kind. 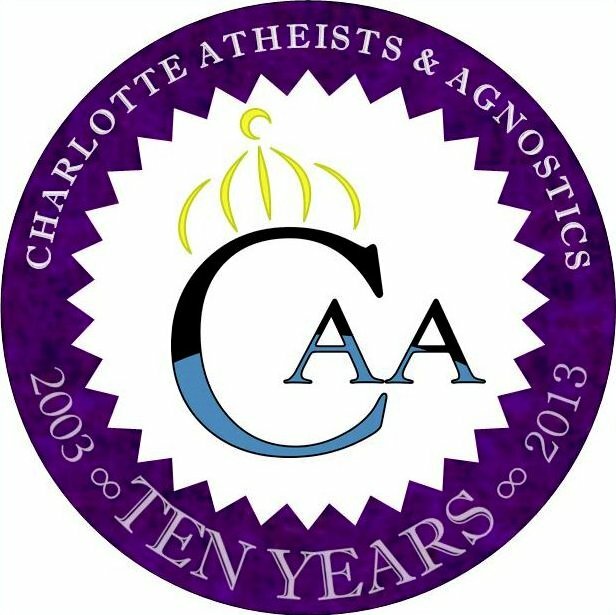 The ‘official’ birth of ‘Charlotte Atheists & Agnostics’ (CAA) can be traced back to January 2003 when an email distribution list at YahooGroups was created for the few atheists who had previously been meeting once every 3 months or so through MeetUp.com. In the summer of 2005, the group became affiliated with American Atheists. Later, it would also become affiliated with the American Humanist Association and Atheist Alliance International (now, Atheist Alliance America). 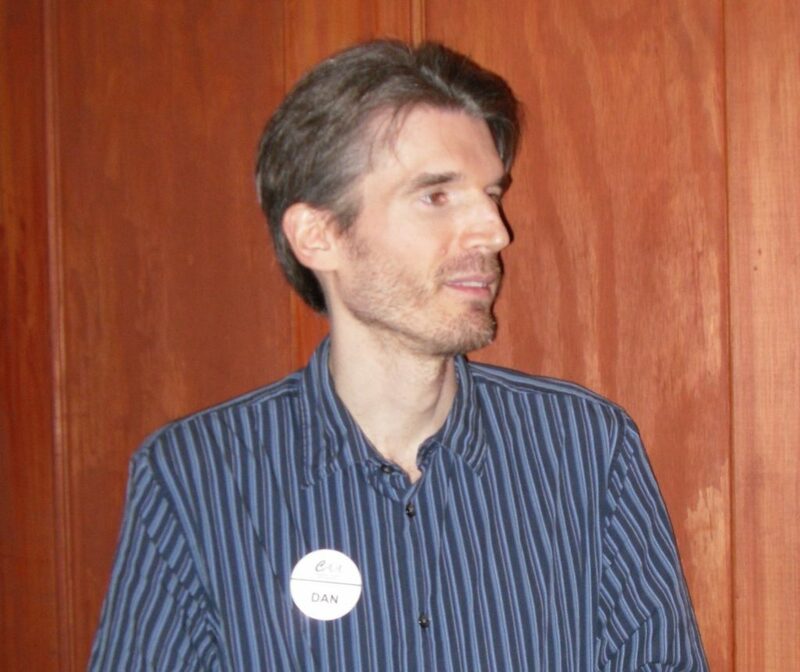 In January 2007, Dan Russell-Pinson built the first website and forum for the group, and he became the official group organizer. During those first several years, meetings were occasional and purely social. 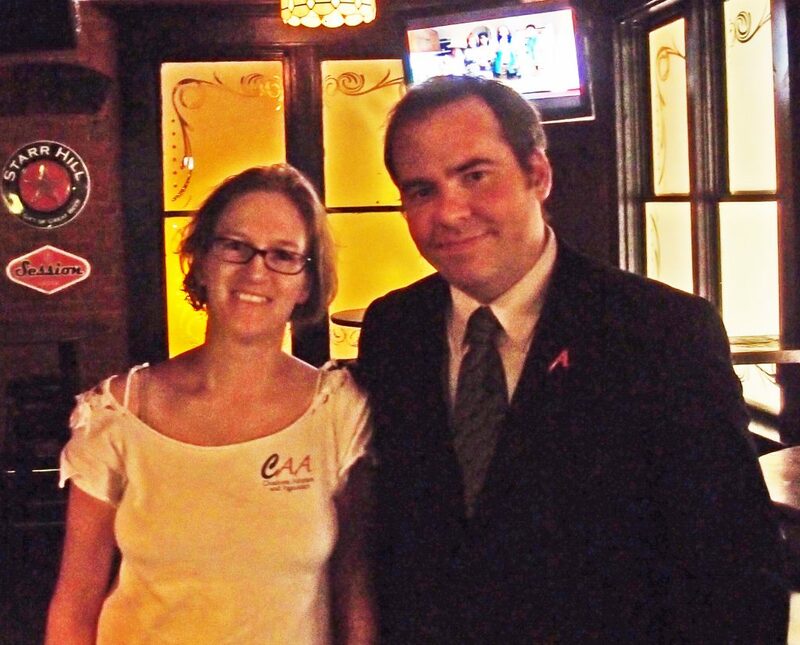 Meetings were held at places like: Hartigan’s Irish Pub, Applebees, Outback Steakhouse, and the Mellow Mushroom. The meetings usually topped out at around 10 people. As the group began to grow, people inevitably envisioned different directions for what CAA should be: some wanted a purely social outlet, some wanted more formalized activism, and so on. In March 2009, to avoid fragmentation, CAA enacted bylaws and elected its first officers. Dan Russell-Pinson became the first president…. The group had grown to such an extent by then that it had to find a new place to meet. It found a “home” of sorts at Dilworth Neighborhood Grille, where members could take over the room in the back or the space downstairs. CAA decided not to make any changes regarding the purely social aspect of the now monthly socials, but started holding separate “planning” meetings each month. When some wanted to start having speakers, CAA made that a separate event as well–and so on with any other activities–until the calendar was filling up each month with many different types of CAA events. There were monthly community service projects, charity drives, movie nights, and book club meetings, and there was now an annual Garden of Eatin’ picnic added to the calendar…. A new website and forum were built, and the groundwork was laid for CAA’s participation in the statewide “One Nation Indivisible” billboard campaign in 2010. In the spring of 2010, Dan passed off the torch to Mike Tooney, who became the second president of CAA. That summer, CAA received several rounds of media attention—local, national, and international–from its involvement with the “One Nation Indivisible” billboard campaign. 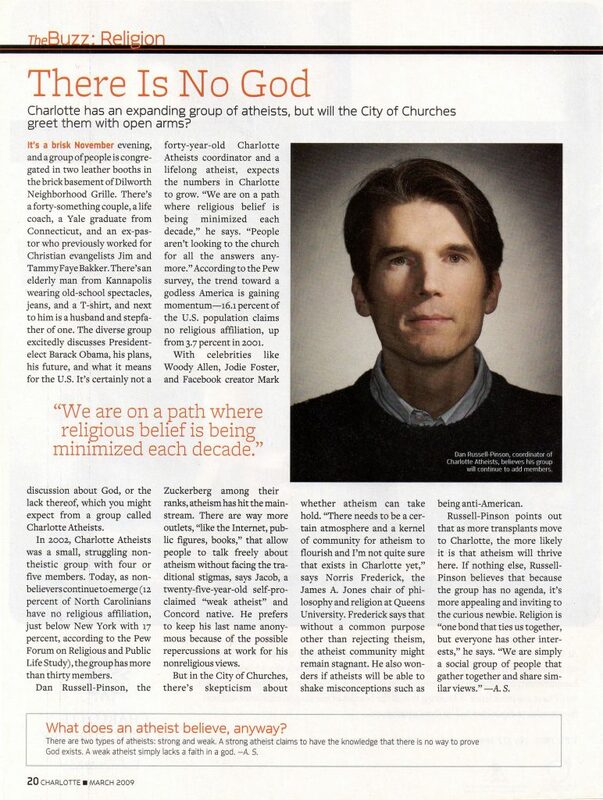 CAA member William Warren was the media representative for the billboard in Charlotte. Over 300 new members joined the new CAA website as a result of the campaign, bringing the total to over 1,300, and the following monthly social drew a record 75-80 people. In the spring of 2011, Shawn Murphy became the third CAA president with Mary Snow as VP. Monthly steering committee meetings began, monthly “alternative” socials were tested, and annual Darwin Day brunches and annual fundraising Summer Soirees were added to the calendar. 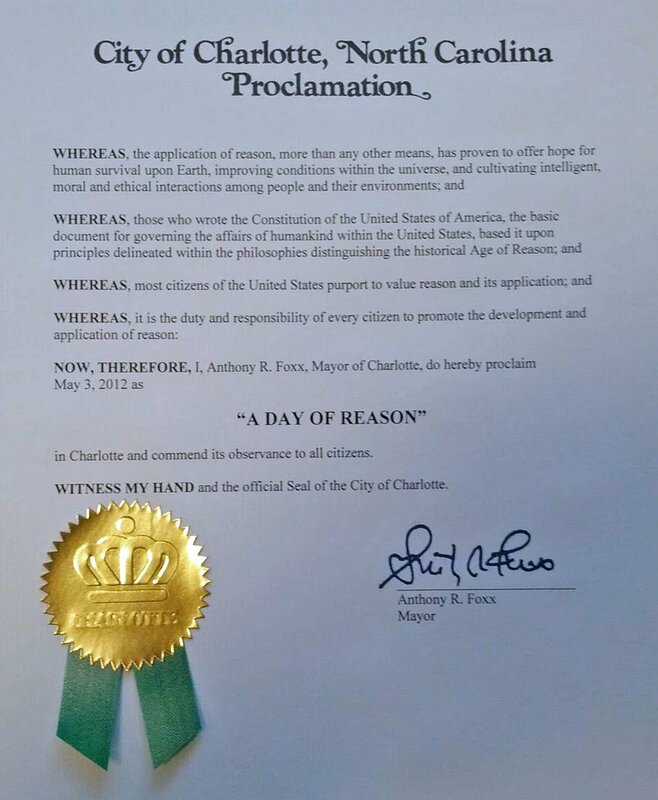 A youth group was launched, more speakers were brought in, a group page was started on Facebook, and CAA adopted a street in downtown Charlotte to keep clean…. President Shawn Murphy was interviewed on radio and television, and participated at interfaith events…. 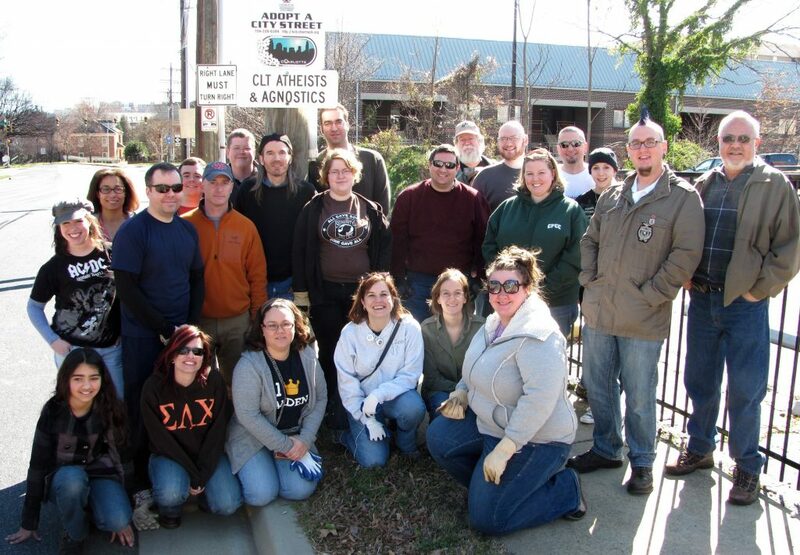 In 2012, several CAA members attended the Reason Rally in DC and Rock Beyond Belief in Fayetteville, NC. Later, CAA representatives spoke out in the “Free Speech Zone” at the Democratic National Convention and received some media attention as a result. CAA’s original logo, seen in the picture above, was replaced with a new one…. 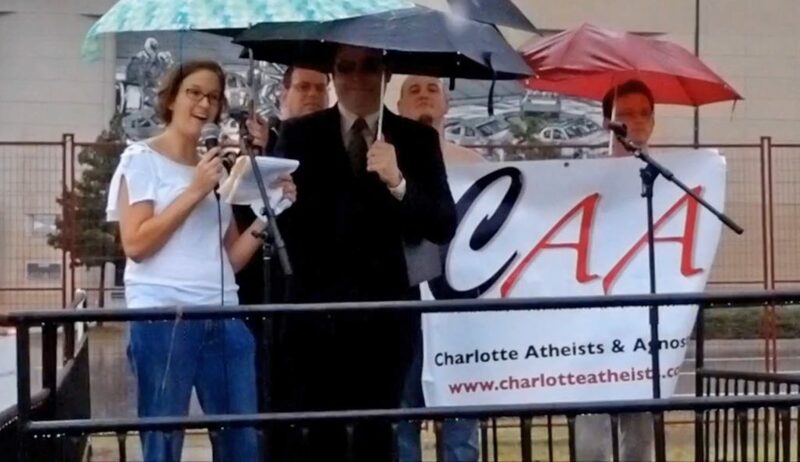 CAA became affiliated with the Carolinas Secular Association, and later went on to help sponsor and host two of that organization’s conferences held in Charlotte. CAA also became an endorsing organization of the Secular Coalition for America and later joined the Charlotte Coalition of Reason (Charlotte CoR). This resulted in more media attention when Foxx was appointed Transportation Secretary for the Obama Administration shortly after he signed the second one…. In 10 years, CAA went from not being able to gather five people together more frequently than quarterly to a thriving group with over 1,300 registered members on the website.